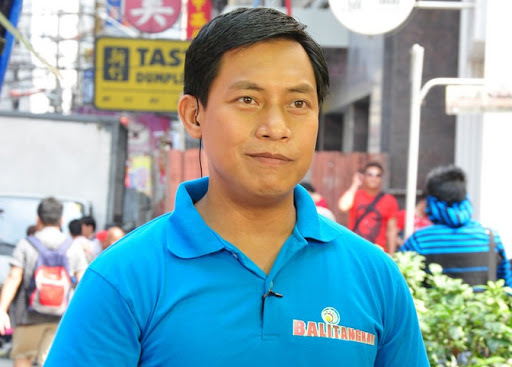 Balitanghali anchor Raffy Tima just called out President-elect Rodrigo "Rody" Duterte for catcalling his wife, fellow GMA newser Mariz Umali, during a press conference in Davao on Wednesday. In a Facebook post posted that same day, Tima said that Duterte's behavior "is wrong on so many levels." He wrote: "I know his reputation well enough not to be shocked by it, but that does not make it right. For someone who espouses leadership by example, catcalling anyone in a press conference with all cameras trained on him defies logic." Tima also expressed his disappointment over how some people who were present during the press conference reacted, writing: "What appalled me even more was how some people in the room reacted. Most laughed, others made teasing noise and basically urged the mayor to dish some more! And he did. I do hope none of them were journalists because if they were, shame on them." Tima ended his post by saying that people shouldn't condone what Duterte did. "When you see or hear anyone say something wrong you do not encourage it, you do the opposite. Or in that particular instance at least, they should have kept quite and in their silence gave the message that what the mayor did was wrong," he said. "Some jokes are funny and should be laughed at... but disrespecting women is definitely not one of them." The post has since then been shared over 6,000 times.